At this time of year it's quite likely you'll be heading straight from work to festive activities of some kind. For that reason more than ever I find myself ensuring I'm prepping and priming on a daily basis. Two products I've been trying are Make Up Revolution Eye Primer* and Sunkissed Beautiful Bronze Primer*. Both of these products are budget high street prices but how did they fair against my usual high end preferences? The biggest battle was always going to be for Make Up Revolution Eye Primer. The Urban Decay Eye Potion and my more recent favourite Lorac Pro Eye Primer appear to be the only thing that keep my eyeshadow in place and stop creasing but I'm forever searching for drugstore alternatives. 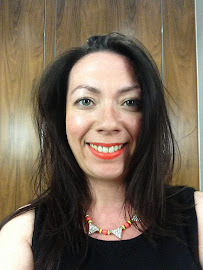 Unfortunately the Make Up Revolution Eye Primer was not a great hit for me but I will caveat that by saying I do have very oily eyelids and if that isn't so much of an issue for you it's worth trying. It's got a slightly greasy slip to it but dries matte very quickly and evens out the lid and makes a nice base for any eyeshadow. That's where it ends for me and I have returned to my aforementioned preferences. The Sunkissed Beautiful Bronzer Primer was a big hit for me and for just £3. For those of you that don't like silicone primers step away now, likewise if you have dry skin I think you might struggle. 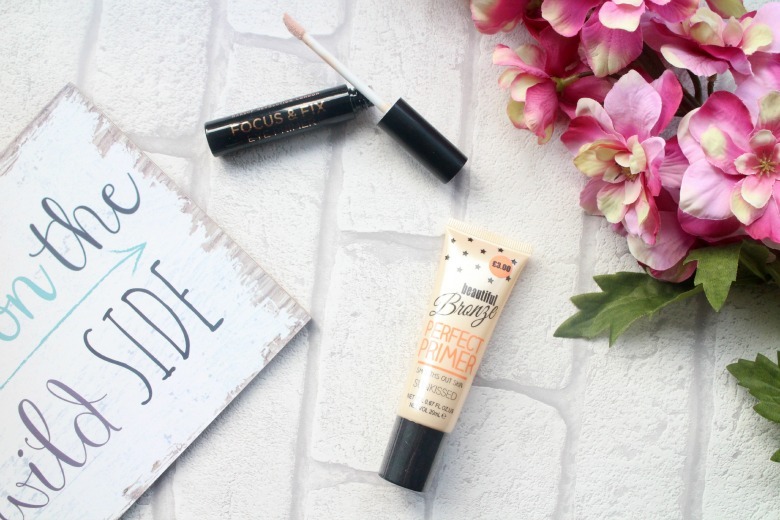 If you're a fan of Benefit PoreFessional then it's one to try. In a tube, which admittedly is cumbersome due to its texture, especially as you're nearing the end of the tube like I am and available from your local Primark store. As you squeeze out the tube it looks like that glue you get in magazines from the samples stuck on the pages and it definitely has the silicone feel on the skin which as I say you do or don't like. I find it smooths out my skin nicely and proves a perfect base for my foundations. There is some piling at times depending on my skins state which is why I mention avoiding if you're of a drier skin as I think this is when it's more of an issue. What are you using to prep and prime and your skin over the holiday season?